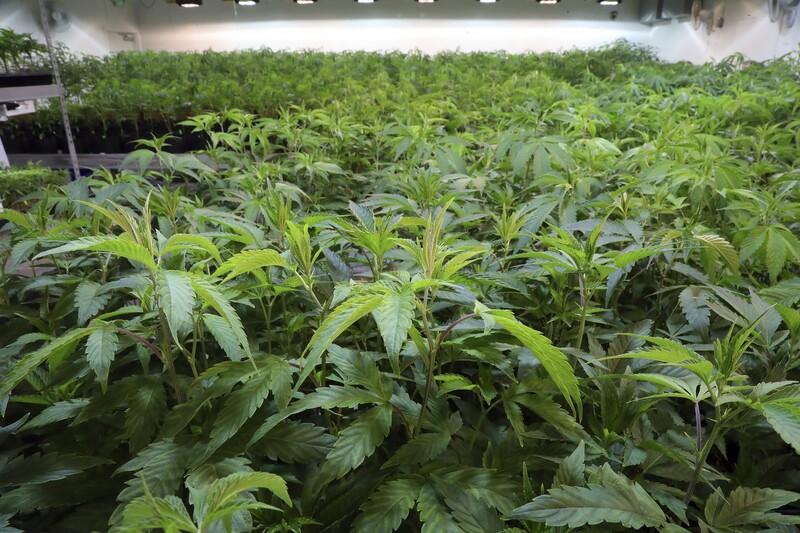 Cannabis plants growing in a grow room at Norcal Cannabis Company in Santa Rosa, Calif., Oct. 19, 2018. The easy part of legalization was persuading people to vote for it, industry analysts say. The hard part, now that it’s legal, is persuading people to stop buying from the black market. SAN FRANCISCO — A billion dollars of tax revenue, the taming of the black market, the convenience of retail cannabis stores throughout the state — these were some of the promises made by proponents of marijuana legalization in California. One year after the start of recreational sales, they are still just promises. California’s experiment in legalization is mired by debates over regulation and hamstrung by cities and towns that do not want cannabis businesses on their streets. California was the sixth state to introduce the sale of recreational marijuana — Alaska, Colorado, Nevada, Oregon and Washington paved the way — but the enormous size of the market led to predictions of soaring legal cannabis sales. Instead, sales fell. Around $2.5 billion of legal cannabis was sold in California in 2018, half a billion dollars less than in 2017, when only medical marijuana was legal, according to GreenEdge, a sales tracking company. “There are definitely days that I think that legalization has been a failure,” said Lynda Hopkins, who is on the board of supervisors in Sonoma County, which took a lead in licensing marijuana businesses but became embroiled in disputes over regulations and taxes, not to mention angry residents who did not want cannabis grown in their neighborhoods. The easy part of legalization was persuading people to vote for it, industry analysts say. The hard part, now that it’s legal, is persuading people to stop buying from the black market. In Colorado and Washington, licensed sales soared after legalization. One crucial difference with California is its massive surplus — the state produces far more pot than it can consume. The tons of extra cannabis continue to leach out across the country into states where it is legal. The most recent official estimates of California’s cannabis production, a report published a year ago by the California Department of Food and Agriculture, showed the state producing as much as 15.5 million pounds of cannabis and consuming just 2.5 million pounds.